This varied and challenging ride has a little bit of everything: big hills, fast descents, gravel, bitumen, rail-trail, rainforest, farmland, gourmet food and wine, and small towns. There are two alternate starting points for this ride. You can start at Flinders Street station and ride all the way out of the city on bike tracks. Or you can jump on the train and start on the outskirts of town at Hurstbridge. If you choose to start in Hurstbridge, things are much more straightforward. Take a left out of the station car-park and follow the signs to Kinglake. 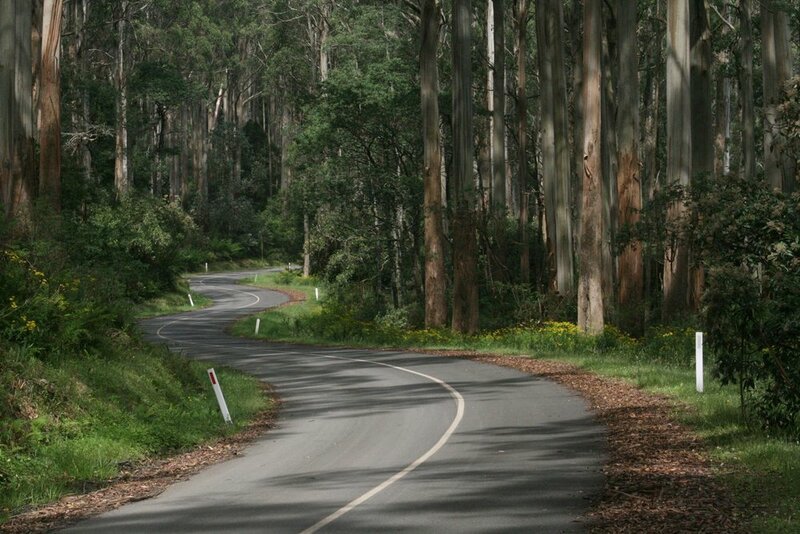 The 20km to Kinglake is on a fairly narrow and winding, though scenic road. You will ride into forested hills where the remnant burnt tree trunks of the Black Saturday fires are still visible. Generally the traffic is not too bad though it can get a bit busy on a nice weekend. Some confidence riding in traffic will help here. On this stretch you will also tackle the first major climb of the ride, a medium-sized uphill with a gentle gradient. 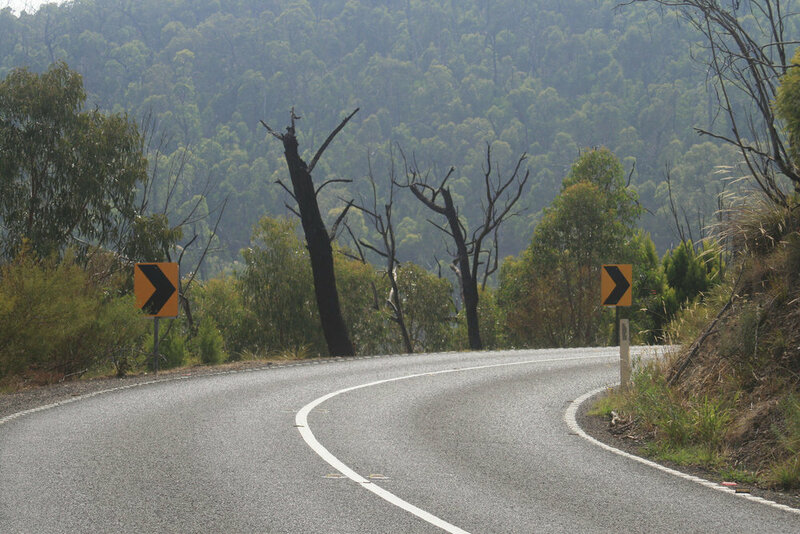 You can also expect a little traffic on the undulating road from Kinglake to Toolangi. This 15km section is very pretty, taking you through tall and lush eucalypt forest. Shortly after Toolangi take a left onto Myers Creek Road, which you'll follow to Healesville. This road is quiet and features a fun, narrow and twisty descent. On Myers Creek Road there are a few nice looking B&B style places, and a high tea place. After Healesville the punishment begins, with a climb up Mt Donna Buang. This really is one of the cycling gems of Victoria. It's close to Melbourne, the road is quiet and very beautiful, and there are some fantastic views along the way. It's a big climb with some gravel and some steep sections, so settle in for the long haul. There are a couple of spots where you can often fill up your bottle from natural streams. The summit is a couple of km detour to the left once you get onto the main road. The descent on the other side is fully sealed, fast and a bucket of fun. This descent will spit you out into Warburton, from where you will join the more sedate Lilydale-Warburton Rail Trail for the highly pleasant 40km trip to Lilydale. Another cycling gem, this trail meanders through the Yarrra Valley's lush farmland and bushland. There are some nice towns and cafes on this trail. Lilydale, the end point, is at the end of the metro train line which you can take you back to Flinders Street station. 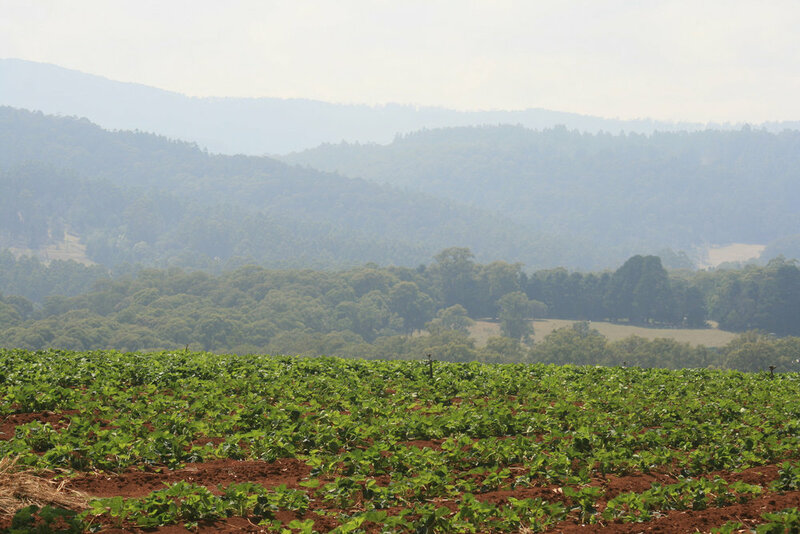 Yarra Valley—known for its wineries, local produce, etc. Mt Donna Buang often sees snow in winter, so if you're going at that time, be prepared for that. Heat can be extreme in summer. Roads will be busier in peak holiday times. Start and end points can be accessed via Melbourne's metro train network.